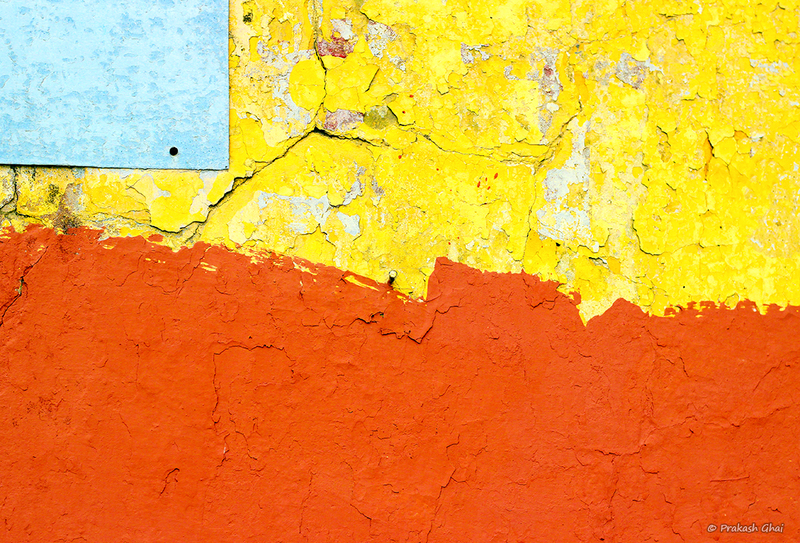 Contrasting colors on an old textured unkempt Indian wall in Jaipur. Walls are one of my favorites to click. India is full of such multicolored unkempt textured walls. You can find them almost anywhere. The highlight of the composition is the placement of the blue rectangle on the top left corner. It lifts the entire image single handed. That nail in the center wanted to grab some attention as well but, he is probably having a bad day. This shot falls under the minimalism category of "Few Distinctive Colors", the colors being, blue, yellow and orange.